It is always a great pleasure to live in a house that is well maintained. The first thing that people see when they look at your house will be the painting. That is exactly where we get in. 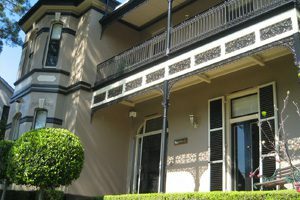 We specialize in residential house painting services in Drummoyne. For any kind of home interior or exterior wall restoration and painting, just give as a call. We have many years of experience in the field of residential painting services, and we have all the necessary manpower and equipments to make your home walls look absolutely magnificent. As one of the best residential exterior home painters in Drummoyne, we guarantee top quality results for the most affordable service costs. In addition to painting the interior and exterior walls, we also refinish your wooden cabinets, windows, chipped ceilings, and also restore the broken decks of your balcony. Call us today to book for an appointment for professional painting services.